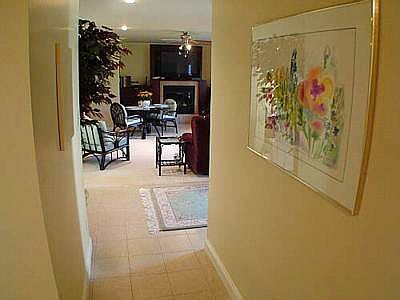 Westshore Vacation Suite offers all the amenities of a Home Away from Home. 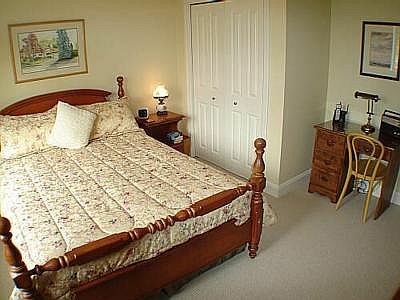 This large suite will delight visitors with its warm atmosphere, quality workmanship and quiet location. 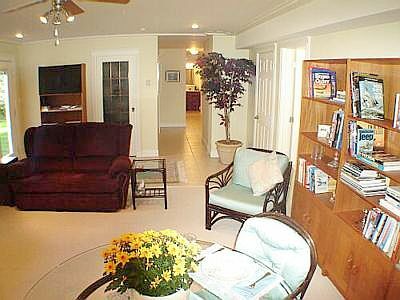 The newly renovated 870 sq. 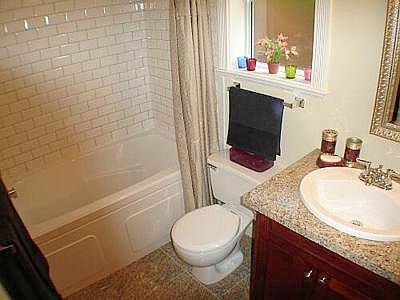 ft. home features a bright bedroom, spacious kitchen, comfortable living room, private bath, complete laundry room, designated parking and key-less lock entrance door. 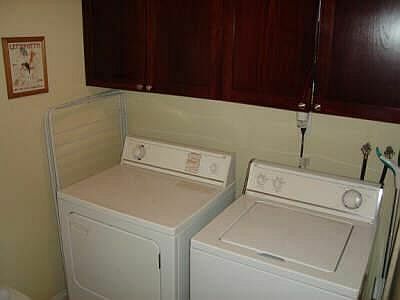 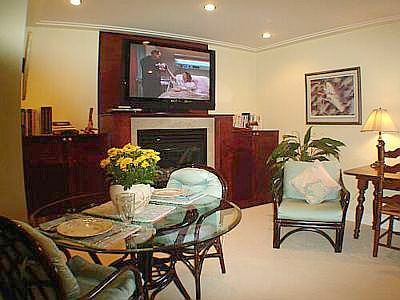 Enjoy the quality decor, ceramic, granite and carpeted floors, custom made cabinets throughout, granite counter tops, 50 inch plasma TV, DVD player, VCR, cable, internet access and a private phone. 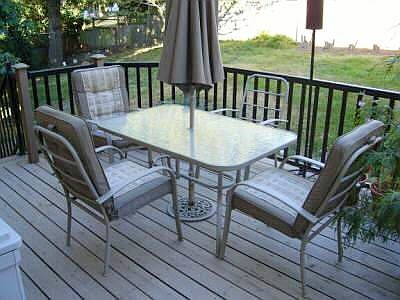 Sit back and enjoy a coffee on your own patio deck as hummingbirds buzz to and fro from the feeder. 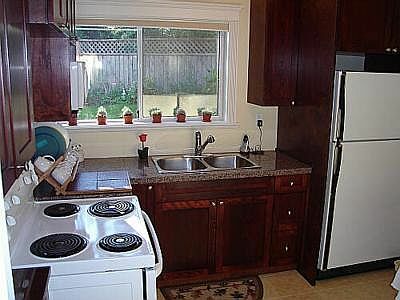 Located on a quiet cul-de-sac in Colwood this property is just 25 minutes by car to the attractions in downtown Victoria. 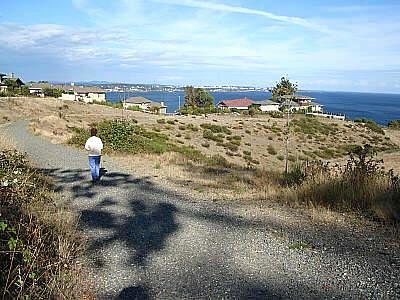 Close by, a public pathway leads you on a 15 minute walk to an ocean beach. 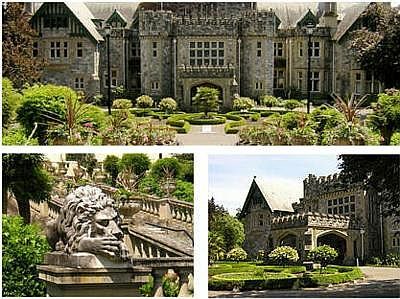 Also within walking distance is the 565 acre Hatley Park National Historic Site, home to ancient forests, Edwardian gardens, and Hatley Castle by the sea. 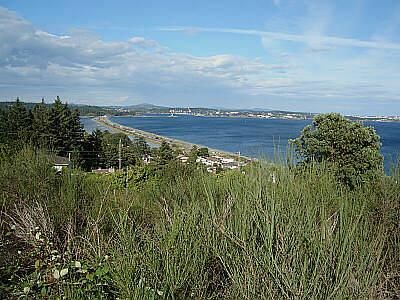 Adjacent to Hatley Park you will find Fort Rodd Hill and Fisgard Lighthouse National Historic Sites. 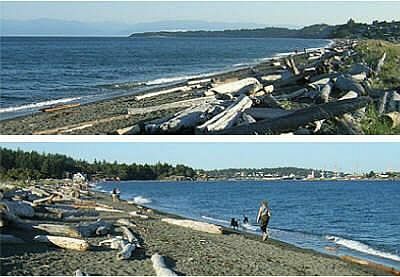 Walk or drive to Esquimalt Lagoon Migratory Bird Sanctuary, which is great for bird watching year round and stroll along miles and miles of sandy beach with the Olympic Mountains as a back drop across the Strait of Juan de Fuca. 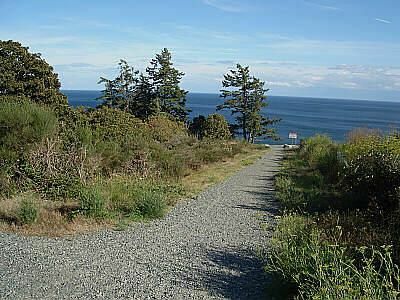 Hike for hours through the beautiful old growth canopy of Victoria's most spectacular regional wilderness park, East Sooke Park just 25 minutes to the west. 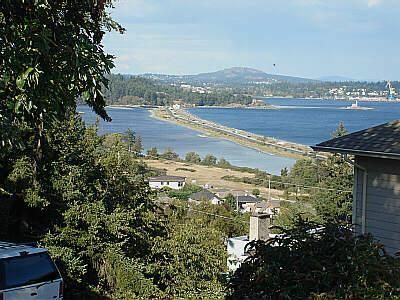 Enjoy riding your bike all the way into Victoria on the Galloping Goose Trail. 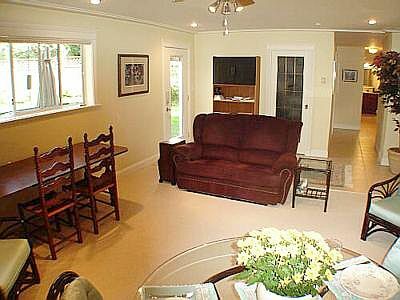 Bring your clubs and enjoy the pleasure of playing five golf courses all just a short distance from Westshore Suite Olympic View Golf Club 3 km, Bear Mountain Golf and Country Club 11km, Metchosin Golf and Country Club 5km, Royal Colwood Golf Course 5km, and the Juan De Fuca Recreation Centre 5km. 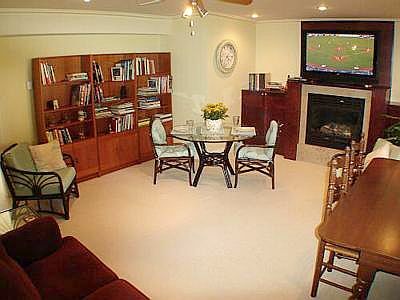 Other easily accessible amenities include shopping, recreation centre, library and restaurants as well as a great public transit system. 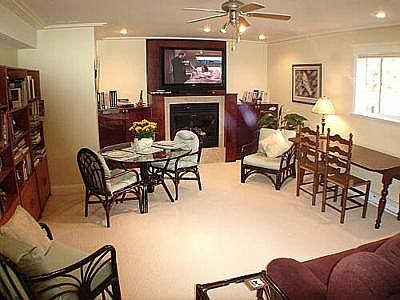 Just wanted to let you know what a great place the Coastal Garden Suite was. 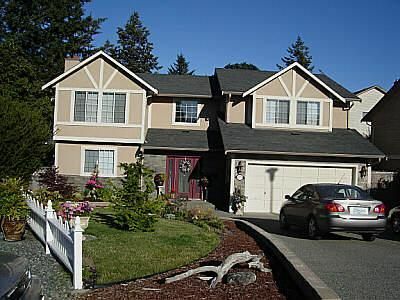 We rented for the month of August and the owners treated us like we were family. 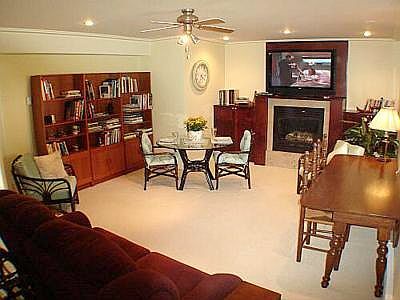 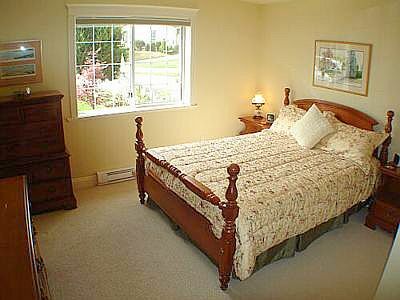 The suite has everything we or anyone else would need for a very enjoyable vacation on Vancouver Island.